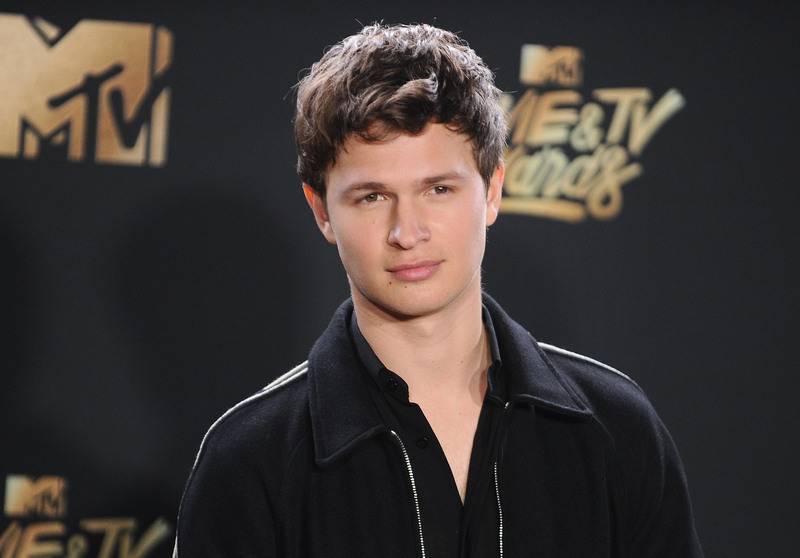 Ansel Elgort accidentally injured himself in the silliest way while filming "Baby Driver"
Shooting an action movie is no easy walk in the park, and Ansel Elgort can attest to that. While getting ready for his role in Baby Driver — where he plays a getaway driver named, you guess it, Baby — he had to learn stunt driving, choreography, and parkour. It’s no surprise that he accidentally injured himself while shooting the movie…but the thing is, he wasn’t actually shooting the movie when he injured himself. Rather, he was playing street ball. As one does in their downtime while shooting THE action movie of summer 2017. "We were just doing stunts and stunts and stunts, it was a lot of fun," Elgort revealed during a press day for Baby Driver. "My body got a little beat up by the end, because sometimes I'd take falls." And sometimes, he’d leave set to go play street ball, which left him with the worst shin splints in the world. "For whatever reason, I had decided [that when] we were shooting night shoots [during the day I'd] go and play street ball before filming, and on concrete, and I got the worst shin splints ever. I didn't want to tell [director] Edgar [Wright], like, 'I know we're doing a movie, but I can hardly do your stunts, because my shins are killing me.' The most pain that I've ever felt was stabs in my legs constantly from that." Though clearly in pain, Elgort pressed on and found creative ways to try and ease the pressure on his shins. "The stunts weren't even really the problem," he continued. "It was that I had these crazy shin splints when I was trying to do [the stunts]. Eventually, I was able to sort of roll [them] out, every second that I wasn't doing a stunt, on my shin with a dough roller. And then when we were about to do a stunt, I would do it, and by the end it starts heating up, I would just dough roll it out." “Let’s hope he doesn’t read this,” James added. Eh, whoops. Sorry to break this news to you, Edgar Wright .